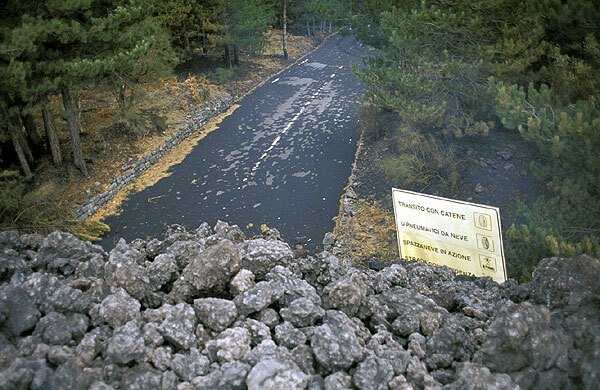 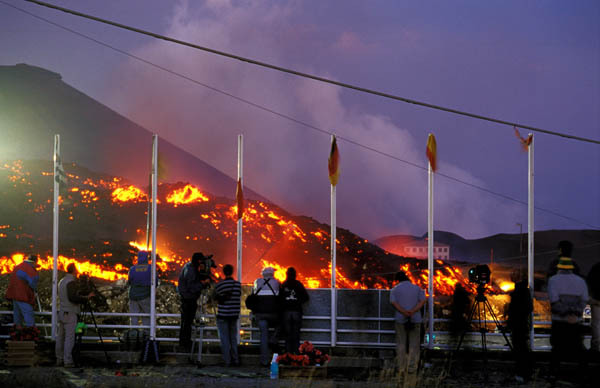 A'a' lava flow burying a road on Etna (Oct. 2002). 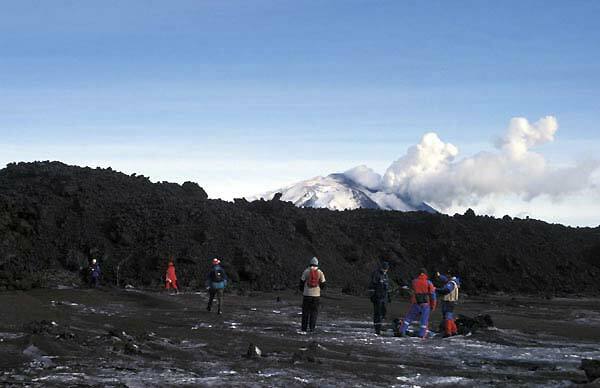 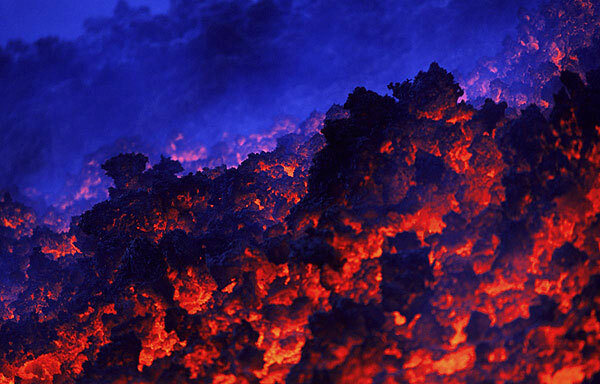 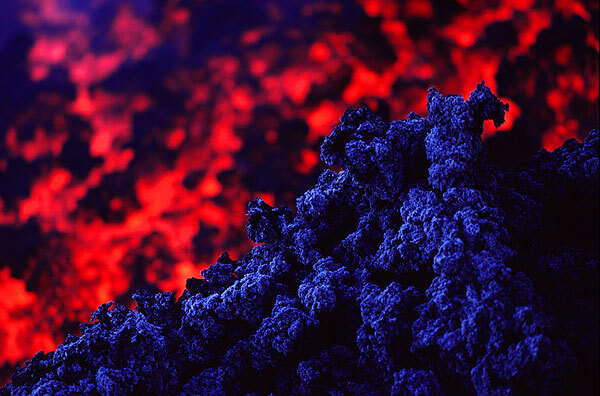 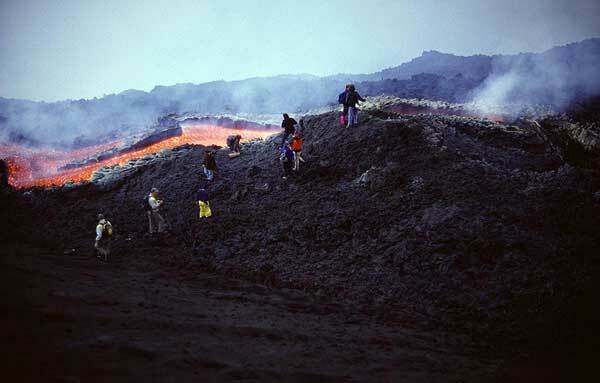 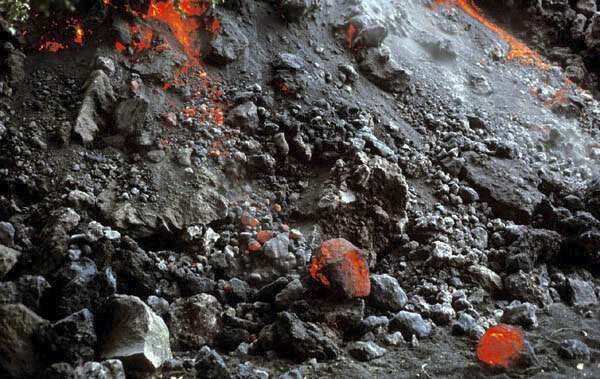 Slow-moving front of an a'a' lava flow on Etna (Nov. 2002). 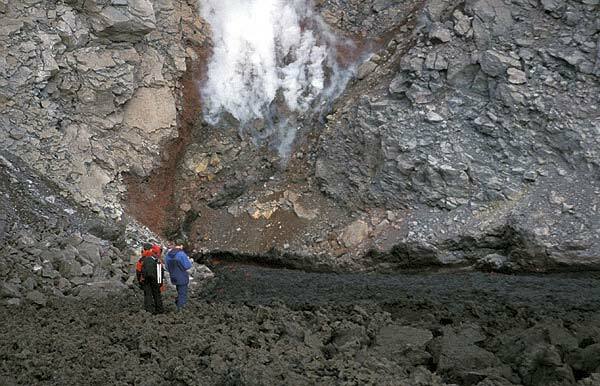 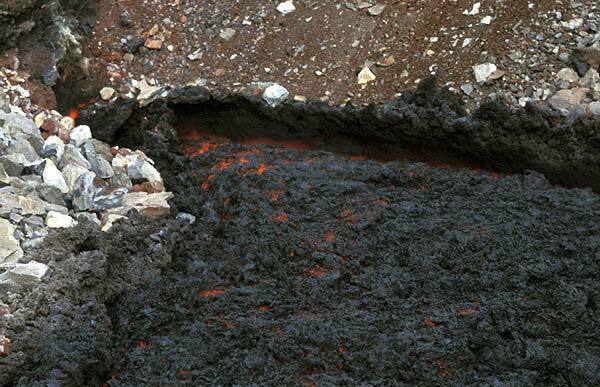 Channelled a'a' lava flow on Etna (Sept. 2004). 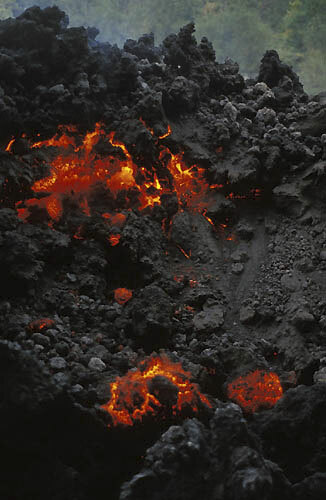 Huge a'a' lava flow from Hekla volcano in 2000. 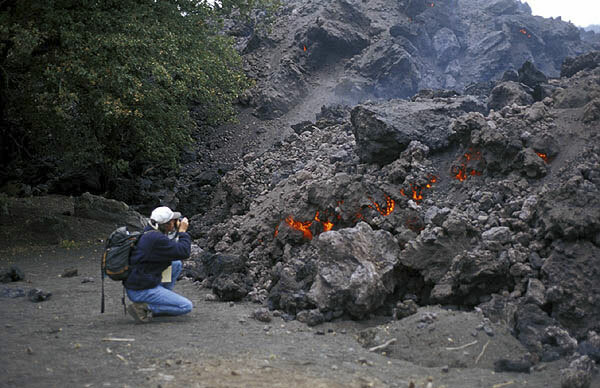 � Tom Pfeiffer, page set up on 5 November, 2004.